I had been working on a watercolor of Mission San Juan Capistrano this week. 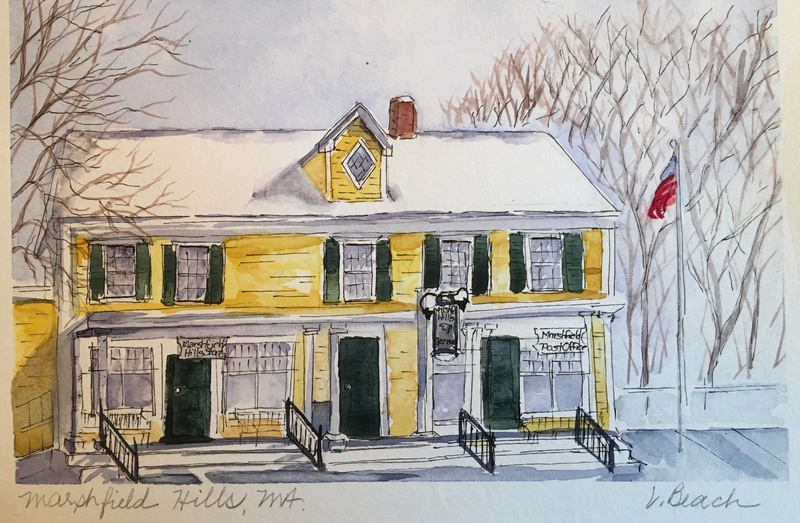 It has been some time since doing a project in watercolor other than demonstrations in techniques for my class. I didn’t realize how timely the subject was until hearing the news today that Pope Francis announced that Father Serra who founded the California Mission in San Juan Capistrano in the 1770’s would be made a saint. I won’t get into the politics surrounding the missions or the Church here. But, there is little debate about the beauty of the courtyard garden within the old mission walls. 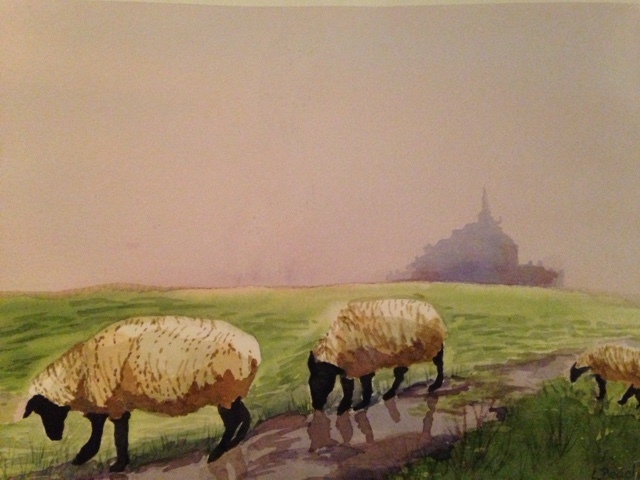 The watercolor is based on a reference photo which I used to sketch onto a watercolor block of Arches 140#. Then I first added the shadow walls that surrounds the arches with a dark mix of cobalt blue and burnt umber. To that mixture I sprinkled Kosher salt to add texture and let it dry. 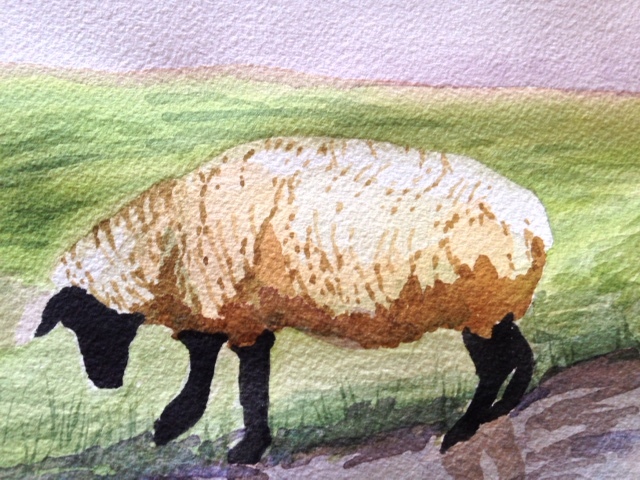 Other watercolors were Yellow Ochre, Naples Yellow, Raw Sienna, Quinacridone Burnt Orange, Alizarin Crimson, Quinacridone Coral, Cobalt Blue, and Sap Green in either Winsor Newton or Daniel Smith brands. 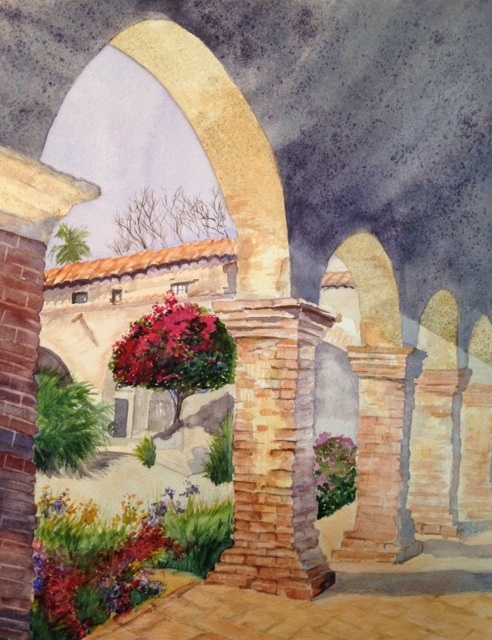 It was a good change to work on a watercolor project of Mission San Juan Capistrano. If you ever get a chance to visit the mission, I recommend it.